If you need wedding balloons, you've come to the right place! And if you're getting ready for the big day, make it stunning! Balloons for all Occasions in Oswesry Indoor Market is the best place in Oswestry to find wedding balloons. We have over fifteen years experince decorating for weddings and parties and have good working relationships with all the hotels and restaurants in the area. How Much are Wedding Balloons? Beuatiful balloon bouquets for your tables can cost as little as £5-25 a set, and can bring colour and style ot your wedding party. 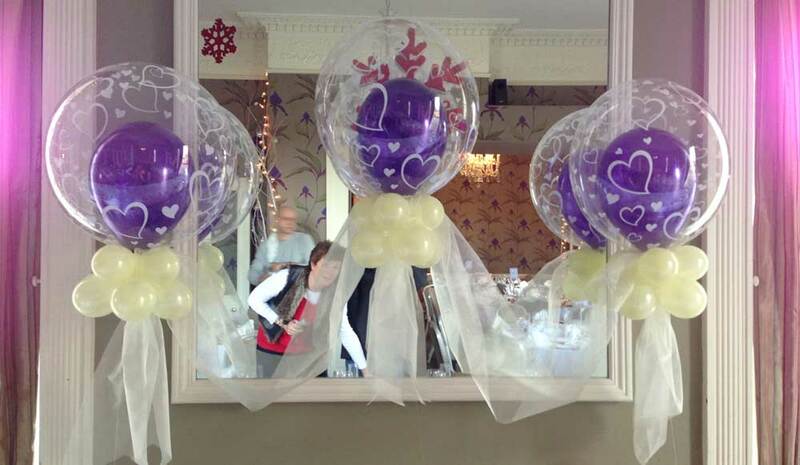 Do You Deliver Wedding Balloons? Yes. 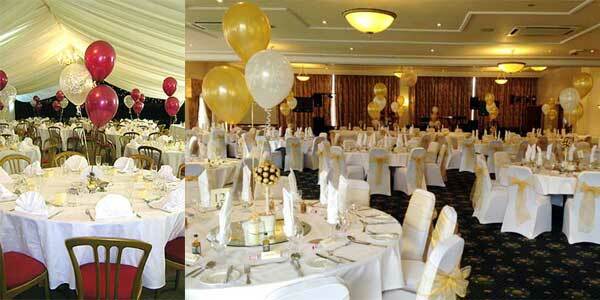 If you live in the Oswestry are of Shropshire, Balloons forall occasions can deliver balloons to your wedding venue. We have good relationships with local reataurants and hotels, and can work behind the scenes fo deliver and set up your tables as you want them.